Use our attorney-drafted Real Estate Purchase Agreement to provide a framework of the rights and responsibilities between a buyer and seller of a home or piece of real property. 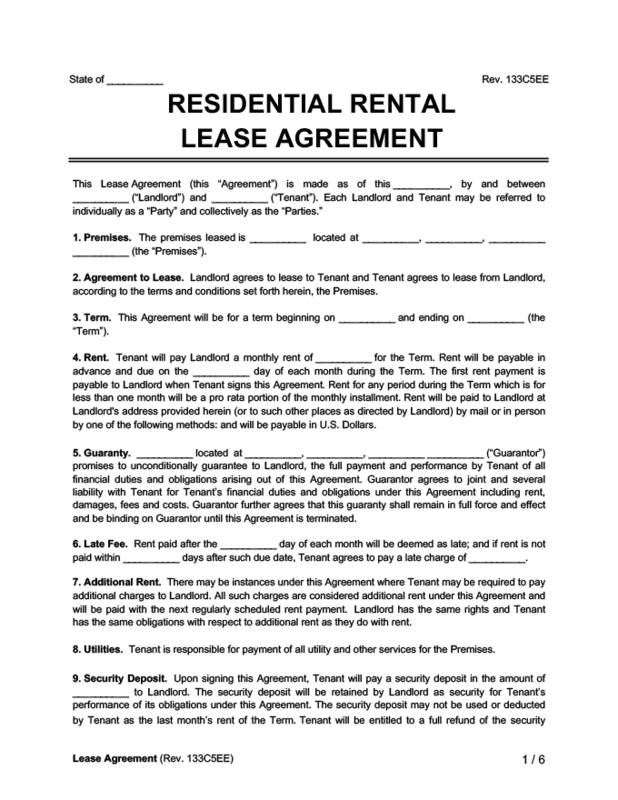 The Basics: What is a Real Estate Purchase Agreement? 2. The Basics: What is a Real Estate Purchase Agreement? This agreement provides a framework of the rights and responsibilities of both the seller and buyer before the legal transfer of title can occur. This is a written document between a buyer who wants to purchase a home or other piece of real property and a seller who owns that property and wants to sell it. It is usually proposed by a buyer, and subject to the seller’s acceptance of the terms. This document does not actually transfer title of a home, building, or lot. Instead, it provides a framework of the rights and responsibilities of each party before the legal transfer of title can occur. Buyer and seller details: The full names and contact information of the parties to the contract. Property details: The address of the property, as well as a legal description of the land to accurately identify the location of the property. A legal description of land will commonly be in metes and bounds and prepared by a licensed surveyor. Purchase price: The total price to be paid for the property, including any deposits or adjustments. Representations and warranties: The seller will make certain statements of facts and promises regarding the property that the buyer will rely upon in entering the transaction. Financing: Will the buyer be financing his or her purchase through third-party financing or seller financing, or will the buyer assume the seller’s existing mortgage? Contingencies: Any actions or conditions that must occur for the contract to happen. Title insurance: One party is usually responsible for obtaining title insurance in the name of the buyer. Title insurance is a form of insurance that covers loss of value in the property due to future discoveries of defects in title. Closing and possession dates: When will the legal transfer occur and when will the buyer be entitled to take possession of the property? Lead-based paint disclosure: A mandatory disclosure for homes built before 1978. A lead-based paint disclosure provides buyers certain information about lead hazards in the home, providing opportunity for an independent lead inspection. Dispute resolution: Many agreements contain a mandatory or optional dispute resolution clause that guides how parties resolve their disputes. This can include using mediation, arbitration, or going through the courts. Option to terminate: A clause allowing a buyer to back out of a purchase agreement during a fixed period prior to the closing date. Inspection: The buyer has the right to inspect the home within a specified period of time. Closing deliverables: Deliverables are the documents that will be transferred to the other party during the closing. Closing costs: Closing costs are the fees associated with the closing of the property purchase. Risk of loss: Risk of loss is the liability of either the seller or the buyer for the property if there is damage between the time the contract is created and finalized. Real estate taxes: Also known as a property tax, real estate taxes are taxes imposed on the land and any structures that are permanently attached to the ground, such as buildings or homes. Earnest money deposit: An earnest money deposit is a deposit showing the buyer’s good faith and commitment to proceed with the purchase of the property. In return for the buyer making an earnest money deposit, the seller takes the property off the market. At the closing of the purchase, the earnest money deposit is credited to the purchase price. If the contract is terminated in accordance with the terms of the agreement, the earnest money deposit is usually returned to the buyer. Financing contingency: Allows a buyer to withdraw from the contract and recover his or her earnest money deposit if he or she is unable to secure a loan or mortgage after making a good faith effort to obtain one. Appraisal contingency: Allows a buyer to withdraw from the contract after a licensed appraiser gives a home appraisal, estimating the property’s value, if the appraiser’s estimated value of the property is less than the agreed upon purchase price.Sale of home contingency: Allows a buyer to withdraw from the contract if the buyer’s home is not sold by a specified date. This is usually needed for a buyer who needs the funds from sale of his or her house to purchase the new property. Escrow: Escrow is a neutral third party in charge of holding funds during the purchase transaction. Earnest money deposits are usually placed into escrow. Escrow offers protection for both parties while contractual risks are still outstanding. For example, a buyer could place his or her earnest money deposit into escrow until a home inspection is complete, and be confident that if there are problems with the inspection and the buyer decides not to proceed with the contract, her or she will get the earnest money deposit back from the escrow party. Closing: Closing is the final step in a real estate transaction between the buyer and the seller. All agreements are finalized, money is exchanged, documents are signed and exchanged, and title of the property passes to the buyer. For great tips on the in’s and out’s of performing a house inspection, check out this WikiHow article. The sample real estate purchase agreement below details an agreement between the seller, ‘William J Sheetz’, and the buyer, ‘Georgia K Szymanski.’ Through the terms described, William J Sheetz agrees to the transfer of real property to Georgia K Szymanski. Before you’re able to enjoy the perks of moving into a new home, you can clarify the details of the sale with a real estate purchase agreement. After watching House Hunters on HGTV for years, it’s finally your turn to go out and find the perfect home. Or you’ve bought a run-down home, poured your money and sweat into fixing it up, and now you’re ready to list it for sale. Either way, once you find that perfect home or ideal buyer, you’ll want to make sure that you have an agreement in writing to ensure that it’s smooth sailing until the closing, and you’ll know what to do if there are any hiccups along the way. You should use this agreement if you (a) are a potential buyer or seller of residential property, (b) want to define the legal rights of each party to the sale, and (c) outline each party’s’ respective duties before the transfer of legal title. This agreement can be used for any residential property purchase or sale, as long as the construction of the home is completed before the closing date of the contract. Think of this document as a road-map for the period between signing the agreement and closing the sale. After the closing of your contract, you will need to have a Warranty Deed or Quitclaim Deed executed to actually transfer ownership of the property. Third-party financing: A bank or other lending institution provides a loan or mortgage to a buyer which the buyer must pay back over time, with interest. This is the most common form of property purchase financing. Third-party financing can be affected by things like a buyer’s employment situation, present financial portfolio, and credit score. Seller financing: The seller acts as the bank or lending institution and agrees to lend the buyer money to purchase the property. The buyer then pays back the loan over time, with interest. Assumption of mortgage: The buyer agrees to take over and pay the seller’s liability for payments on an already existing mortgage on the property. This method saves the buyer from closing costs or potentially higher interest rates on a new mortgage. The financing arrangement can be documented in a Loan Agreement or Promissory Note. If the property will be pledged to secure the loan, a Mortgage Agreement or Deed of Trust can be used as well. Avoid confusion, frustration, and misunderstanding by clearly setting out the terms of a property sale with this versatile document. If you don’t have a real estate purchase agreement, you and the other party to the contract will not have a clear understanding of your rights, the possible risks, and any economic implications of those potential risks. Without an agreement, it will be much more difficult to negotiate the scope of each party’s liability and enforce your legal rights.